September is Life Insurance Awareness Month, so now is a great time to determine if you need life insurance, how much you need, and what type of life insurance you need. Fox News Good Day Sunday interviews financial professional, Cathy DeWitt Dunn to discuss life insurance and how it has evolved into what it is today. Jenny Anchondo: This is something that a lot of families just do not think about as a priority, but we’re going make you talk about this morning. We’re talking about life insurance, and here to break down who should be covered and what their options are, is financial professional, Cathy Dunn. Good morning, Cathy. Cathy DeWitt Dunn: Good morning. Jenny Anchondo: This is a tough one to talk about. Even our producer was saying, “Oh, I don’t want to talk about this. But okay, let’s do this segment.” And September is life insurance awareness month. So, let’s talk about why, in your experience, so many people don’t just make this a priority. Cathy DeWitt Dunn: Well, they are so busy using the money that they have to pay off other bills, and no one wants to talk about life insurance because that means you’re talking about something that may happen to you later down the road. So, it’s a big taboo subject, but it needs to be talked about. Jenny: Okay, so what bring it out, and maybe this is a great opportunity for families at home if you’re sitting there with your husband or wife and kind of thinking, “We never brought it up. Now is the time.” So, let’s talk about what people should consider before they buy life insurance, and I guess first of all, you should have to know the different types, right? Cathy: Right, there are two types. There’s term insurance, and there’s also permanent life .But boy, life insurance has totally changed over the last several years. Now, even with temporary insurance, term life, there’s living benefits inside. So, things have totally changed, so you need to un-learn what you learned about life insurance and find out what is going on in the industry. Jenny: Right, I was saying, sometimes in finances we just learn what we learned from our grandparents and our parents, and we go with that exact same thing. So, I guess you need to kind of re-educate yourself. The next thing you say is, identify your needs. 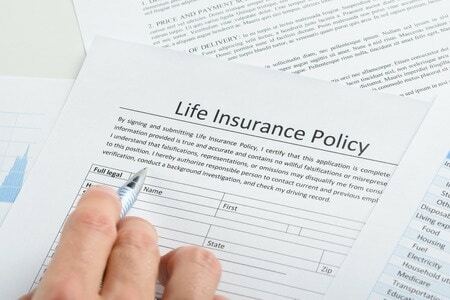 How do we know if we need life insurance? Cathy: Great question. A lot of people take a look at if something happens to me, I want the house to be paid off, or a second property. Or I want to make sure the kids go through school and college. So, you kind of sit down, I’ve got a great work sheet on website that women, money and power are just going to help you identify how much life insurance you really do need. Jenny: What about if you don’t have any dependents. 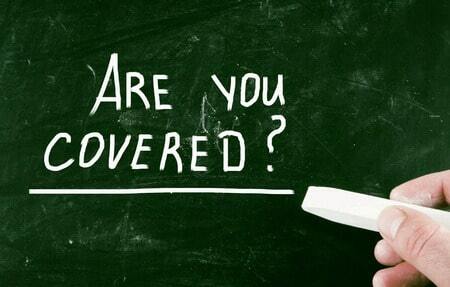 You are a single person, should you still get life insurance? Cathy: Well, I think you should. Jenny: It it something to have? Cathy: It’s interesting, because later something may happen down the road where you can’t qualify for life insurance. So, it’s always nice to have something, leave it to maturity, maybe to your parents. But there could be life event down the road, then you might not qualify. Jenny: Okay, got you. So, at least explore it right now. Next thing is, compare policies. Where do you start on that? Cathy: Well, you need to find somebody that works with all the different life insurance companies. Like an example would be, I work with my clients. We get quotes from all the different companies to see which one matches up best for their family. So, take a look at many plans, not just one. Jenny: Okay, so compare the different policies. Is it offensive in your industry to go from place to place and say, “I’m not sure about this, let me try these people. Let me look at these people? Cathy: No, but I think that if you can find the right adviser, they can work with a lot of the different companies for you. Jenny: Okay, I see what you’re saying. Then, you say also re-evaluate, What do you mean by that when it comes to life insurance? Cathy: Well, things change. Perhaps you’ve paid off your house, or your kids are now through high school and they have possibly scholarships to go away to college. So, sit down every two or three years and evaluate, do I need less insurance? Do I need more? But it’s something that you really need to sit down and evaluate, not just buy today and hold it for 20 or 30 years. Jenny: Oh, that’s an excellent point. That’s very true. It’s not one of those set it and forget it kind of things. Jenny: Okay, well we have to keep bringing up this topic then, every few years. Cathy DeWitt Dunn, thank you so much, and thanks for kind of forcing our viewers to talk about it. Jenny: More information on our website fox4news.com.